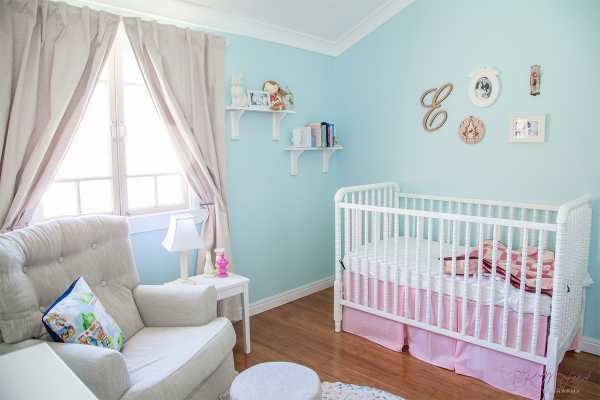 Calm and serene with touch of vintage glamour, this little girl’s nursery is the perfect space for long snuggles and serenity, and a little magic. 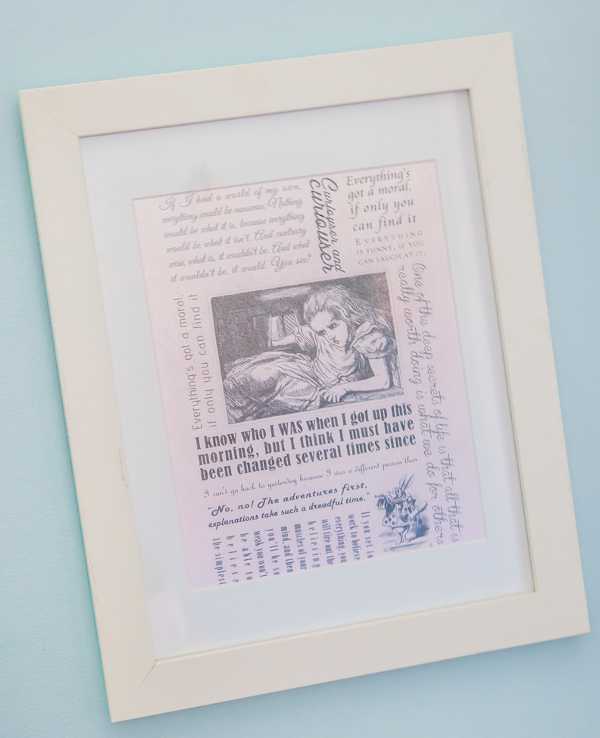 When we found out we were having a little girl I knew I wanted something pretty but also something a little different and quirky so there was no better inspiration than Alice in Wonderland! 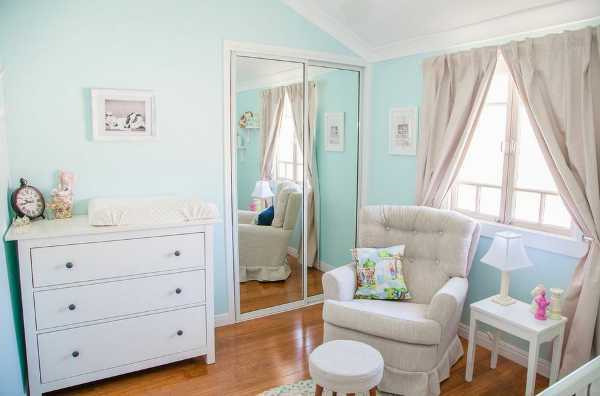 There was a lot of work to do in the room as we live in an old Queenslander, and I am an interior designer and very picky so it took about a year to put it all together. I loved putting this room together and am now thinking about starting my own business doing designs for those that want something different but have no idea where to start. 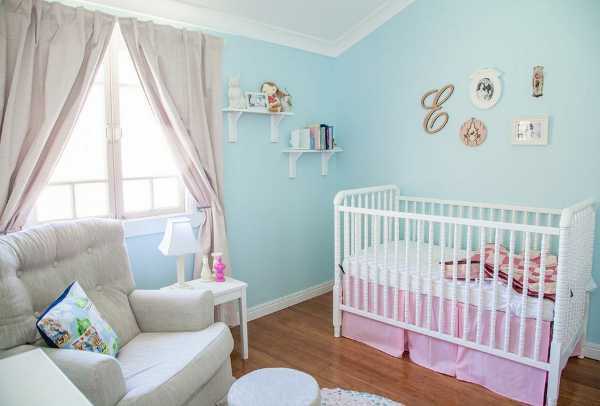 From the seed of an idea to an inviting and enticing room for a little girl that reflects a keen sense of style and playfulness. 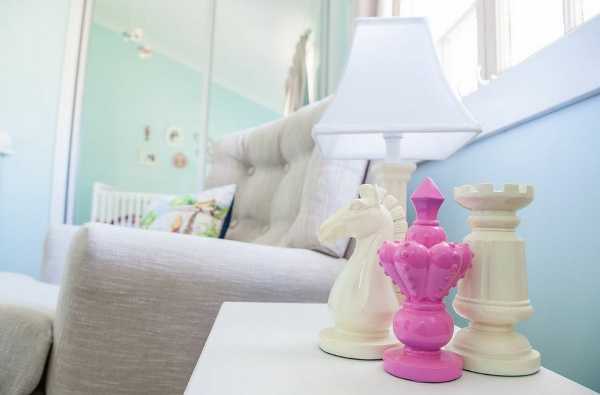 Decor pieces dotted around the room nod to a very subtle Alice In Wonderland theme. There are the gorgeous oversized chess pieces. 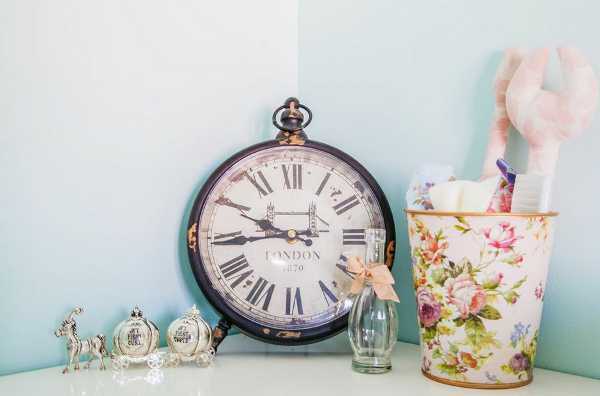 The large fob-style clock (remember that White Rabbit who was always running late?). 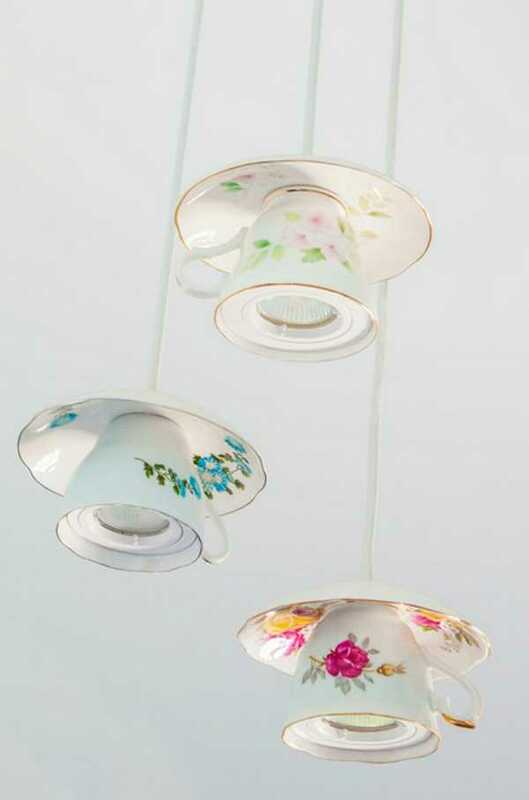 And my absolute favourite, the stunning tea cup lights – a great twist on the garden tea party. 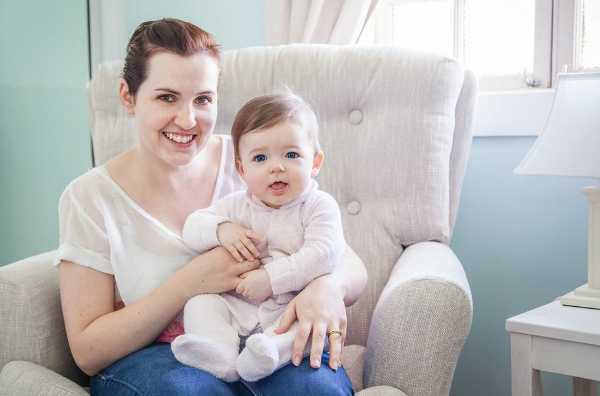 Many of the items in Eloise’s nursery – including the tea cup lights, the curtains and cushions, have been made by Corinne or her family members, which shows just what amazing things can be achieved if you’re crafty! 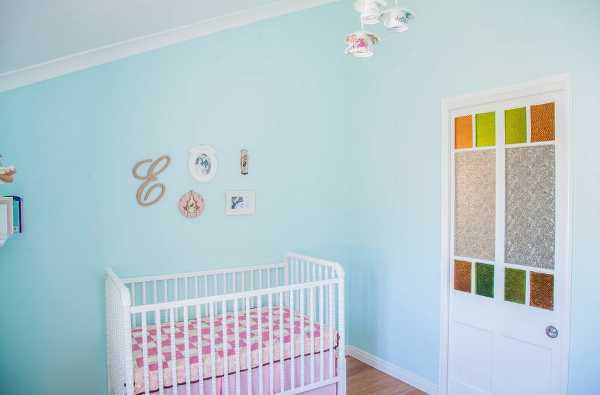 The floor rug was made by Corinne using scrap fabric and old sheets – she even used some fabric she had left over from her bridesmaid dresses. Foot Stool found at the Woollongabba Antique Centre and re-covered with fabric from Spotlight.